Submitted by lmcshane on Thu, 11/05/2015 - 07:36. Residents, I would ask specifically for records of donations made to Detroit Shoreway to insure that this is not a pay-to-play scheme. The history of property transfers in Detroit Shoreway service area (and SCFBC is Detroit Shoreway) indicates that contributors to the organization are also beneficiaries of properties awarded. Submitted by Gone Fishin on Thu, 02/28/2013 - 19:31. 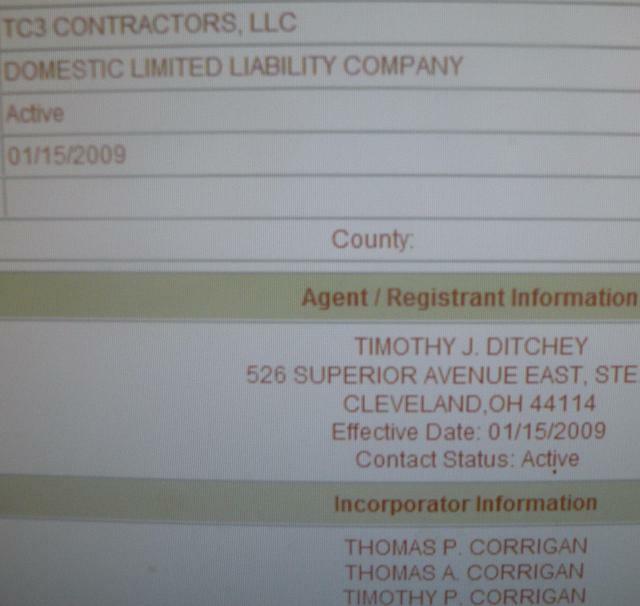 Below is some of the property transferred to TC3 Properties, along with the name of the organization in which transferred the property to TC3 Properties LLC. The property below is NOT all of the property. 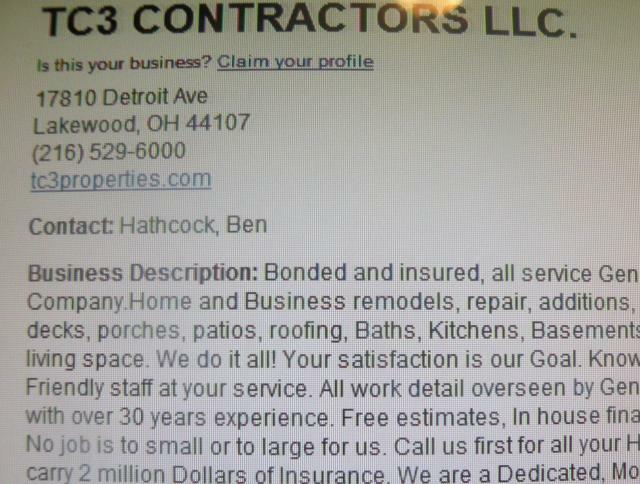 TC3 owns lots of property in Cuyahoga County. TC3 Properties was founded with the belief that we have a moral responsibility to give back to the communities in which we live and work. The following is a growing list of organizations that TC3 Properties has had the opportunity to work with in an effort to achieve that goal. Detroit Shoreway Community Development Org. I promise that I will be more than happy to make some charity donations if you give me all of this property. Just tell me where to sign up and I will be first in line. Oh wait, there is no line. This is a very selective process. Submitted by lmcshane on Sat, 11/07/2015 - 09:42. I will be more specific - please send me the addresses of the 162 properties that are to be rehabbed for the "Dream" neighborhood. I will look them up for myself. If this information can not be provided, please tell me why. I would also like to know if you plan on going after Ginmark Corporation and White Gold Management LLC on Pearl Rd. for failure to pay taxes. As you know from the experience of Robert McCall and the YMCA property, these delinquent commercial property owners skate w/o paying taxes until the unpaid amount reaches hundreds of thousands of dollars- depriving citizens of the tax revenue and services in our community. Also, it is very interesting that former PD reporter, Joan Mazzolini, who lived on your street, Mapledale, is now Chief of Communications at City Hall. I’ve asked the Stockyard, Clark Fulton & Brooklyn Centre Community Development Office to compile information for response to your questions. 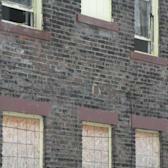 Housing Stabilization by the numbers - foreclosed, rehab and demolition in the Stockyard, Clark Fulton and Brooklyn Centre Neighborhoods, 7/17/2015. Cleveland City Council does not have any records in response to this request. Submitted by mabeldog on Wed, 11/08/2017 - 19:23. Submitted by lmcshane on Sun, 11/15/2015 - 10:04. 1) When a refugee or family is moving into Lakewood, Catholic Charities locates housing for them. Sometimes they will even use Craigslist. So why, the developer scam here in the "Dream Neighborhood"? 2) When referring to the jobs many of the refugees have, it was stated that they work in restaurants and kitchens. 3) This is good, but look at the other side, 6 to 7 refugee families have purchased homes in Lakewood. The number of refugees is 800, not sure how many are children. The program has been (I think I have this right) around for 12 years. So, if there is interest in buying homes, why isn't the program that they are proposing here in the "Dream Neighborhood" one that instead of turning over federal and city tax dollars to developers who are to only rent to refugees for 5 years and then, it is my understanding, can do whatever they want with the houses, give the option to the refugees to own the house? 4) Residents of Lakewood participate in mentoring refugees/families when they move in. That is great, but the "Dream Neighborhood", where they are proposing to house the refugees is a struggling neighborhood, one that has been neglected for years by the city and politicians. Money has been siphoned off to other neighborhoods like Detroit Shoreway to support their CDC and nothing has been done in the past to help the residents there. So I ask, how can they help and mentor refugees when so many are barely able to make ends meet and struggle everyday? 5) This project has been mishandled here. Rather then introduce the concept to the community and get support and input, it was presented to us as a done deal, accept it, promote it and support it. We have had no real answers to the questions we ask about developers, where the money is coming from and why only refugees? If a family wanted to buy one of these 132 homes they have targeted for development, with the minimal amount down that they are asking from developers and the subsidy to renovate it, why can't they? They could have the agreement to stay in the house for 5 years also. Why not housing for homeless veterans? 6) We have a rich, diverse community. From the map they provided last week at the meeting at Lincoln West, it looks as though they want to break up the fabric of the community, refugees here, model neighborhood there, Hispanics here. We can't rip this fabric apart, and whatever is done must be inclusive of all members of our community, and beneficial to all. We need to respect the minority businesses that are throughout our community as well, they support families that are invested in this community. Submitted by lmcshane on Thu, 07/07/2016 - 20:22. How is this project being funded? The program is being funded through private sector investment and by utilizing existing services to better connect residents. Individuals and organizations are investing their own resources to rehabilitate housing. The City of Cleveland allows applications for funding for single family housing rehabilitation through the Housing Trust Fund for a grant of up to $30,000 per house. There have been no applications yet and any future agreements will be between the City and the individual applicant. This program is available to anyone across the entire City. The City of Cleveland has allocated $150,000 to the Economic Community Development Institute (ECDI) to make loans for new and existing businesses owned by immigrants and refugees. This funding is in addition to funding that City makes available across the City. There is no new funding for social services. The Dream Neighborhood initiative seeks to connect the families whose children attend the Newcomers Academy at Thomas Jefferson School with existing services already available in the community. *Theoretically, there should be a file at City Hall of all the past recipients - hey NEOMG - would love to see who has received these grants in the past years. And, whether the process is really part of a deadline submission - so we might expect the first-round of applicants to "Dream" neighborhood now per July 2015 deadline or next deadline July 2016? BREUER TOWER - ALL WORK STOPPED. TAXPAYERS, LET'S SEEK RESTITUTION FROM COMMISSIONERS!